On the ksnh::jur blog we began a series of three postings dircted to the amendments in US patent law by the 'Amenrica Invents Act'. Already issued part 1 and part 2 relate to the changes that entered into force on September 16, 2011 and 2012, respectively. Die Artikelserie unter dem Titel Änderungen im US Patentrecht duch den 'America Invents Act' wird drei Beiträge umfassen. Die ersten beiden Beiträge beschäftigen sich mit den bereits am 16. September 2011 (Teil 1) und 16 September 2012 (Teil 2) in Kraft getretenen Änderungen, während der dritte Beitrag noch folgt und sich mit denjenigen Änderungen beschäftigen wird, die erst am 16. März 2013 in Kraft treten werden. Agreement on a Unified Patent Court of 11 January 2013 (Council Doc 16351/12). 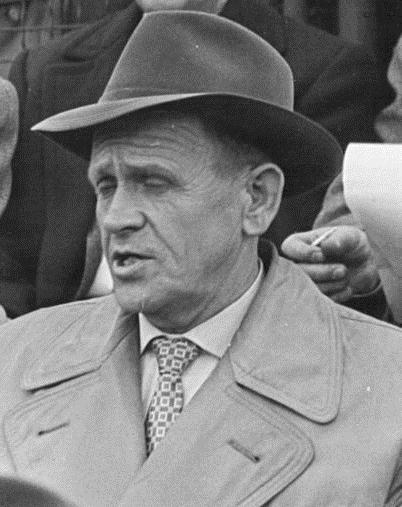 Sepp Herberger was the manager of the German nation soccer team that won the 1954 World Cup by a miraculous 3-2 final win over Hungay, the undisputed favourite and unbeaten for nearly 5 years. This match, in Germany renowned as the "miracle of Bern", not only has a solid position among national myths and legends but has also been considered the birth of the Federal Republic of Germany and an ignition spark of the West German "Wirtschaftswunder", e.g. by historian Joachim Fest. Herberger became a national hero and famous for his down-to-earth but cunning quotes like "the next opponent is the toughest" and "after the game is before the game". The latter quote - maybe in the form of "after the endorsement is before the ratification" - seems to perfectly characterise the somewhat ambivalent situation the Unitary Patent is in at the beginning of the year: Important steps have been achieved in December (especially the approval by the EU Parliament and Council), but the rest will not be an easy challenge either. What If The United Kingdom Were Set To Leave The European Union? The UPC Agreement will have to be signed by the 25 contracting states at the Competitiveness Council Meeting on 18 February 2013 and then be ratified by at least 13 contracting states states, including mandatory ratifications by France, Germany, and the United Kingdom. The EU Council expects this process to be finished already until November 2013 so that the first Unitary Patents can be issued by the EPO and the first cases can be accepted by the Unified Patent Court as of April 2014. As sketched in our yesterday's posting "The Prospect of the Unitary Patent in 2013 – Some Thoughts on Ratification" on ksnh::law, for a number of reasons the ratification process may not run through as smoothly as expected, as the requirement of national ratification, either pariamentary or by poular vote, opens the doos for all kinds of national intests again. The biggest element of uncertainty, however, may be the United Kingdom and the anti-EU movement in the ruling Conservative Party . But also the general eurosceptic atmoshere on the British isles where the public already began to discuss an exit from the European Union at all [1, 2, 3, 4, 5, 6] may endanger the project, as the so called referendum lock may require a totally unpredictable popular vote in the UK on this question. REGULATION (EU) No 1257/2012 OF THE EUROPEAN PARLIAMENT AND OF THE COUNCIL of 17 December 2012 implementing enhanced cooperation in the area of the creation of unitary patent protection. COUNCIL REGULATION (EU) No 1260/2012 of 17 December 2012 implementing enhanced cooperation in the area of the creation of unitary patent protection with regard to the applicable translation arrangements. Note that Article 5 of Reg. No. 1257/2012 represents the controversial Article 5a that was introduced by COREPER on 19 Nov 2012 (see here) in order to replace former Articles 6 to 9 that have been deleted on the European Council summit of 28/29 June 2012 (see here). By the way, do we have to call this legislation (together with the UPC Agreement) now the Nicosia Convention in tribute of the Cyprus Presidency, according to a premature idea of the Polish Presidency in late 2011?